What is ATRIS Stahlgruber Technik? ATRIS Stahlgruber – The program ATRIS Stahlgruber provides information on spare parts of cars and trucks, is a large database on all types of vehicles, their settings, maintenance, diagrams. Includes data for cars from the 60’s, in trucks from the 80s. 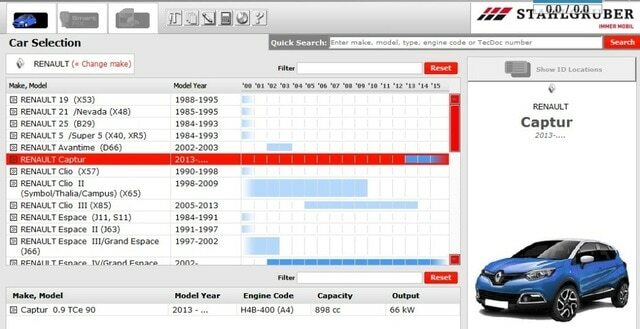 ATRIS Technic – The program ATRIS Technic provides information on the repair and maintenance of all types of vehicles. Program similar to Vivid Workshop Data, complete workshop program with the prices and translation of numbers Stahlgruber – original and vice versa. ****ogous to TecDoc program, including spare parts and accessories of all not original firms of Europe.